Hotel Lotus Boutique Inn & Suites (Formerly: La Breeze), Ormond Beach, United States of America - Lowest Rate Guaranteed! When you stay at Lotus Boutique Inn & Suites in Ormond Beach, you'll be on the Strip, a 3-minute drive from Beach at Daytona Beach and 9 minutes from Ocean Center. 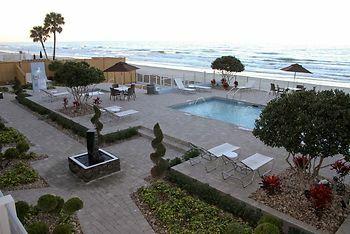 This hotel is 3.8 mi (6.1 km) from Daytona Beach Boardwalk and 4 mi (6.5 km) from Boardwalk Amusement Area and Pier. What an awesome place! Staff was really great! Front desk gal from Hungary was really really nice! The rooms are super clean and very inviting. Beds are comfy! Quiet atmosphere! A great find! Would not hesitate to recommend. The rooms were amazingly well appointed, the balcony and views of the Ocean were breathtaking. The modern amenities especially the very large walk in rain head shower so relaxing. I will be staying there often, if for nothing else than to just get away and relax for a weekend.